Manila Cathedral its rocky history. Manila Cathedral survives earthquakes, typhoons and bombs! If you look back in history to the countries that were colonised, whether they are colonised by the English, Spanish or French, the one thing that was always beside them as they drove the native occupants back with the sword, was the Church. No sooner had a country been colonised and a settlement been established, that the Church took a firm grip and converted all to their faith. This was no different in the Philippines. When the Spanish conquistador Miguel Lopez de Legaspi defeated the last Filipino ruler, prior to the Spanish occupation, Rajah Sulayman from what was then known as Maynilad in May of 1571, he set aside land for the Church. This Church was known as the Church of Our Lady of the Immaculate Conception, as the new Manila settlement came under the patronage of La Purisima Inmaculada Concepcion. 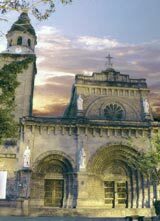 The Church provided all the religious dealings for the new settlement of Manila, in time the Church of Our Lady of the Immaculate Conception became a parish and then later Manila grew into a diocese. Like all great and magnificent things, they have humble beginnings and the Manila Cathedral was know different. The original structure was made from local materials, the same used in the buildings of local native huts of the time, principally of nipa and bamboo. In the years that followed the first Spanish occupation of the Philippines, both the new settlement of Manila and the Church grew. On 6th February 1579, Pope Gregory XIII issued the Papal Bull establishing the Diocese of Manila. From this time onwards the Church of Our Lady of the Immaculate Conception was elevated to the level of cathedral, under the title of Immaculate Conception of the Blessed Virgin Mary. With the elevation to Cathedral status also came the rule of a Bishop. The Bishop of the Manila Diocese was Bishop Domingo de Salazar. In September 1581 Bishop Salazar put steps in place to start the building of the Manila Cathedral, under the advocation of the Immaculate Conception. By December 1581 the old parish church of Manila was built into the Manila Cathedral. Interestingly enough in 1583, a fire started by a fallen candle during a funeral mass in the San Agustin Church, which is also in Intramuros, destroyed the Manila Cathedral, San Agustin Church and numerous other houses and property. The fire spread rapidly as most of the structures of the time were built from local materials, wood, bamboo and nipa. The Manila Cathedral was rebuilt using the same materials. In 1587 construction began again on the Manila Cathedral, not because of its destruction, but rather because the cathedral was declared to be of unacceptable quality for a Cathedral. The refurbishment of the Manila Cathedral did not last long, in June 1588 in was destroyed by a Typhoon. The first Bishop of Manila, Bishop Salazar, greatly influenced the elevation of Manila to an Archdiocese in 1595. Sadly Bishop Salazar never returned back to Manila from Spain where he died. The Manila Cathedral however, continued to be rebuilt, with the footings in stone this time. Two Earthquakes in two years! The Manila Cathedral was yet to be completed when in 1599 an earthquake created more damage. Then twelve months later on the last day of the year 1600, another earthquake all but destroyed the near finished Manila Cathedral. It was not until 1614 that the Manila Cathedral was finally completed. Built from generous donations, the cathedral was enlarged to include seven chapels, three naves and ten alters. For the next seven years the Manila Cathedral Philippines was enjoyed by many, but once again mother nature changed the events of history and an earthquake in 1621 severely damaged the structural soundness of the Manila Cathedral. The damage was so intense that the entire cathedral had to be rebuilt. Manila Cathedral underwent more construction during the next four years. Then on the feast day of St Andrew in 1645 one of the largest earthquakes to ever hit Manila destroyed the Manila Cathedral. The earthquake claimed more than 600 lives and raised the city, its devastation was absolute. This earthquake was not alone and during the following days more tremors were felt and any buildings or structures still standing were brought to the ground. Not only was the physical Cathedral destroyed but also the records, archives and early history were lost forever. It was not until the arrival of the new Archbishop Miguel de Poblete in 1653 that construction started again on the Manila Cathedral. He put in place plans to rebuild the entire Manila Cathedral in stone. Work on the cathedral was continuous, when one section was finished another had to be started or completed in total. Restoration work continued up till the next century 1700. Once again in the period 1697 to 1706 the Manila Cathedral was once again damaged by typhoons and earthquakes and the construction process was started over. In the year 1706 the Manila Cathedral was finally completed, including the Bell Tower, and what a site it must have been. However the glory was short lived with the cathedral falling into disrepair. It was in such poor shape that in 1747 an architect was commissioned to reconstruct the cathedral. The reconstruction was completed in 1760, from this time and into the 19th century only minor repairs were necessary and the Manila Cathedral enjoyed a rather extended period from the builders hammer and chisel. Severe damage was inflicted on the Manila Cathedral by an earthquake in 1852. Ongoing repairs continued. Areas had to be demolished and rebuilt, renovations both internal and external were conducted. It was not until 1858 that the Manila Cathedral was completed and the general public was once again allowed in the worship. The final structure was said to be a magnificent structure and a gorgeous spectacle. In 1863 the Manila Cathedral became a gigantic mound of rubble. An earthquake had leveled the Manila Cathedral .Many lives were lost under the stone and other debris. It was not until 1870 that the ruined and collapsed structure was removed and cleared, it was said to have taken 56 days to finally clear all the debris. The rebuilding of the Manila Cathedral had started once more. Permission was granted in 1873 for the Manila Cathedral to once again be rebuilt. Over the next six years the Manila Cathedral returned to be the landmark church of the Philippines capital. When the Manila Cathedral in the Philippines was first constructed the materials used were local palms, wood and bamboo. The materials used now were stone, granite, bricks, galvanized iron, copper, lead and zinc. The surviving material, still used in the construction is the native hardwoods. Manila Cathedral’s bell tower, which had survived so much over the years, came crashing to the ground in the 1880 earthquake which shook Manila It was replaced by a makeshift wooden structure. The Manila Cathedral then stood witness to many historic events in the life of the Philippines. First was the Philippine Revolution in 1896, then the Filipino-US was of 1898-1902. With these wars came new colonial powers. It was now apparent that the US were the new occupying colonial power. During the battle of Liberation in 1945 the Manila Cathedral was once again destroyed, this time by bombs and not the normal earthquake. It was some time before the cathedral was once again restored and enjoyed the prestige it deserved. The last remnants of the Cathedral were just about to be bulldozed and erased forever, when the Americans were talked out of the final destruction of the Manila Cathedral. The remaining wreckage was included in the new Manila Cathedral, so at least a part of the history of one of the most important features in Manila has been preserved. 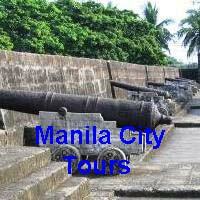 You will find the Manila Cathedral in the old walled city of Intramuros. The cathedral is located on the southern side of the Pasig River close to the rivers entrance into Manila Bay. Getting married in the Manila Cathedral is extremely popular today. If you do have some spare time to explore the Intramuros, ensure you take some time and have a look at the Manila Cathedral. This grand place of worship has been trough a lot so that you can take it’s photo. 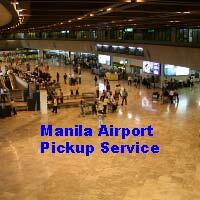 If you are interested in other aspects of what the Philippines capital city Manila, has to offer, have a look here. Reference: Information was kindly supplied by Msgr. Nestor Cerbo, the Rector of Manila Cathedral.